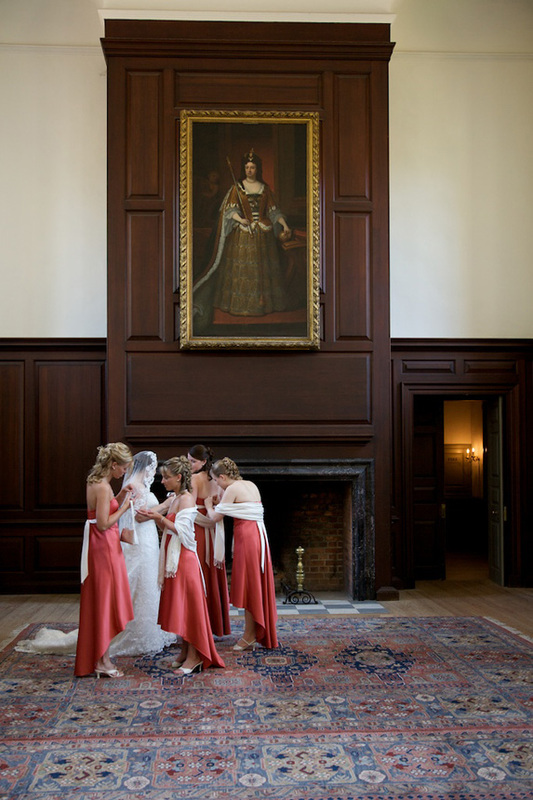 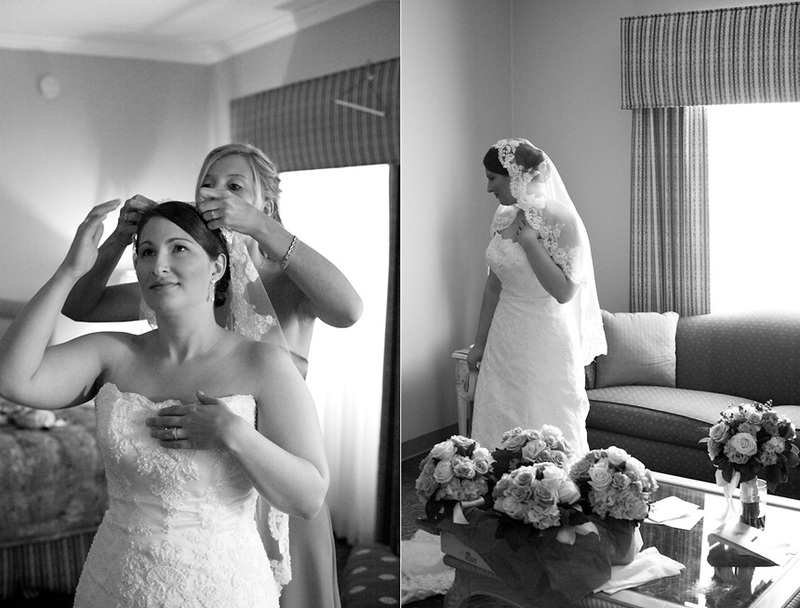 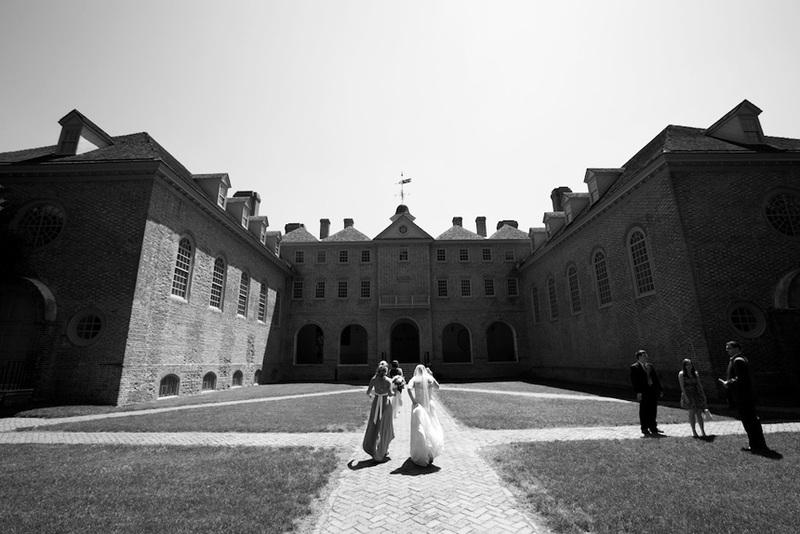 Karina and Allan’s wedding brought us back to the College of William and Mary in the heart of Colonial Williamsburg where the couple met, fell in love and became engaged. 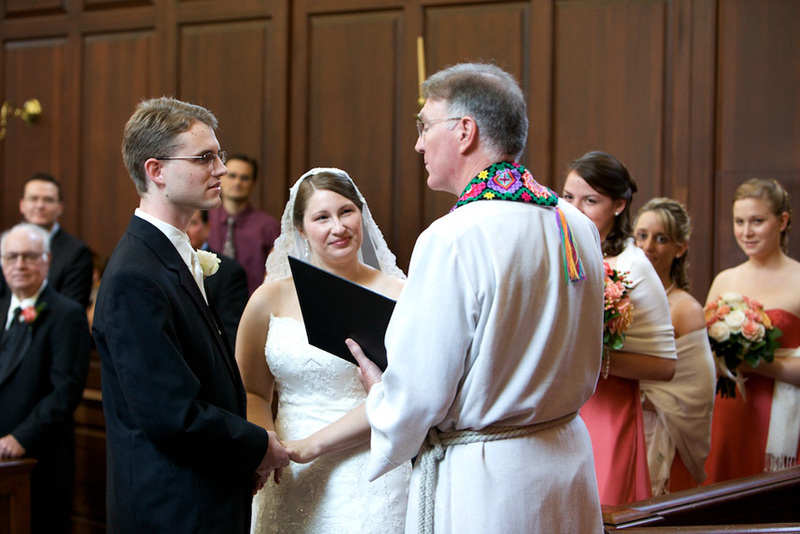 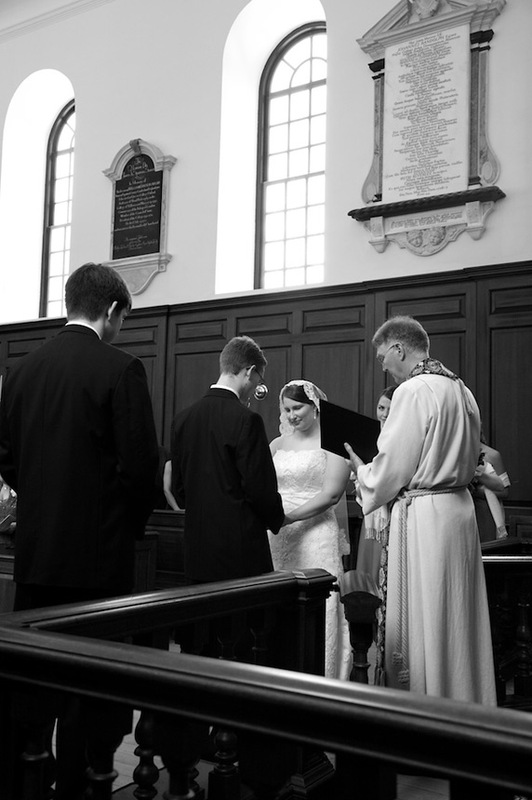 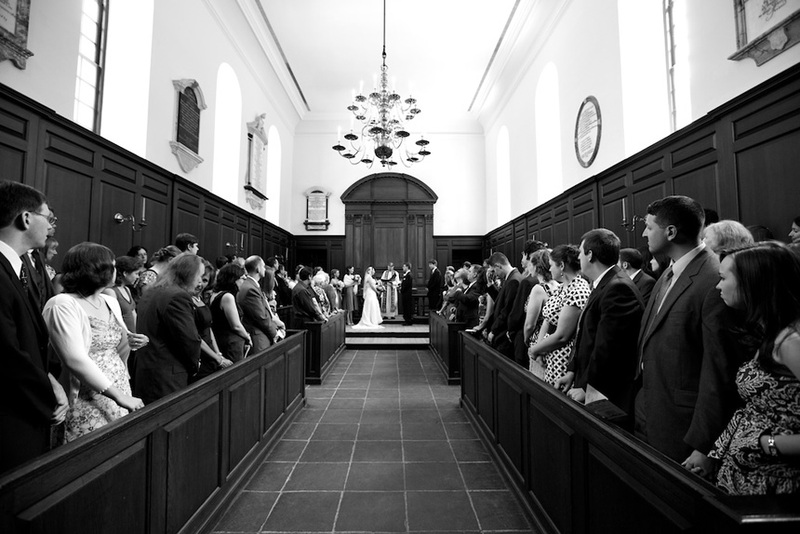 The ceremony took place at historic Wren Chapel with a reception across the way at the Hospitality House. 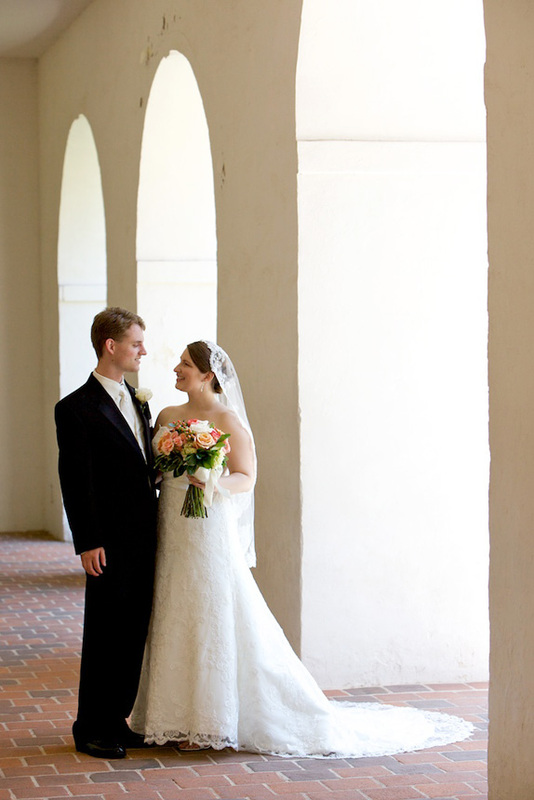 The weather was mild and sunny (for Virginia May, anyway) so we took advantage and strolled across campus for a few shots following the ceremony. 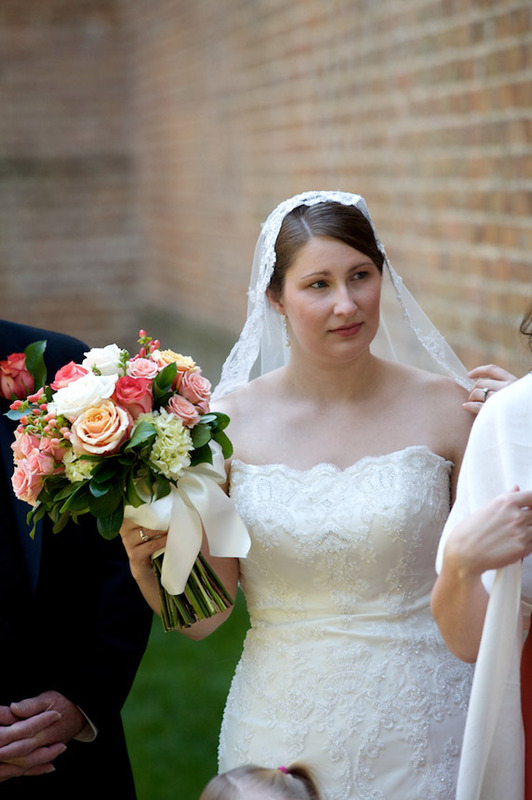 I loved Karina’s old world-style veil and rosey color scheme. 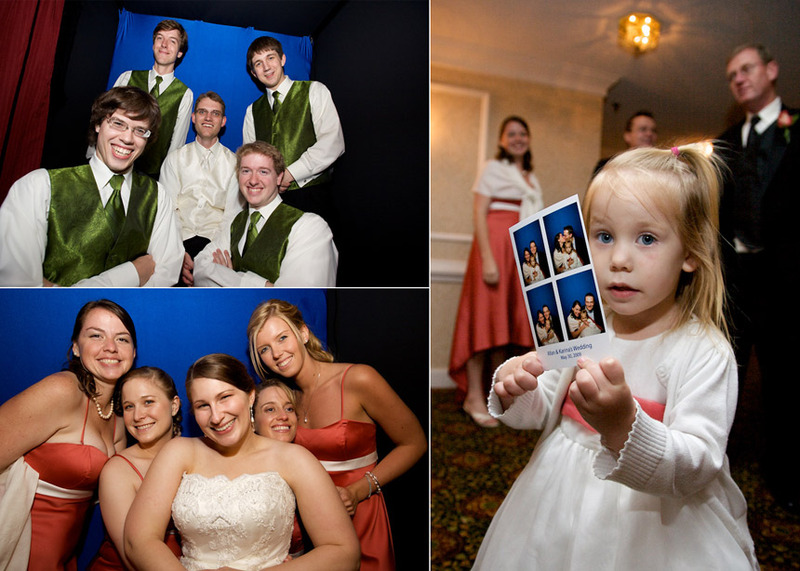 Photos themselves were a theme: each table had a year and a photo of both the bride and groom from that year, save the date cards were sent out with photo booth style pictures, guests had a blast with the photo booth at the reception and even the couple’s photo guest book fit right in (we’ll have a whole other post on photo guest books soon). 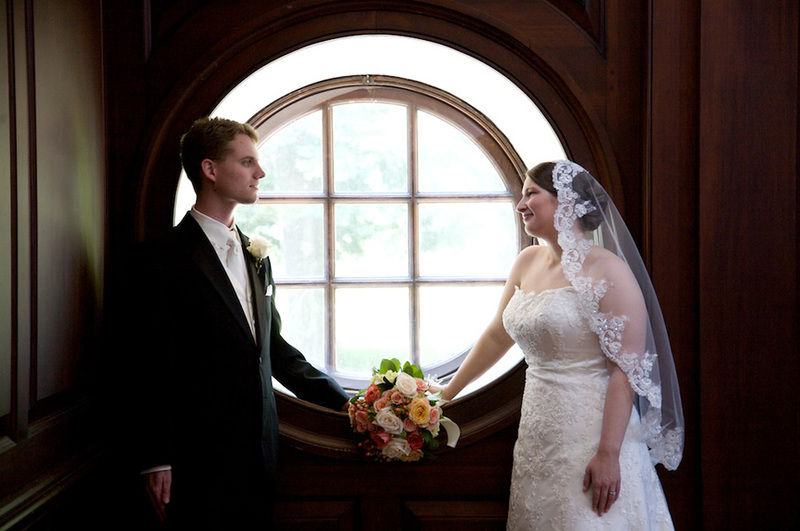 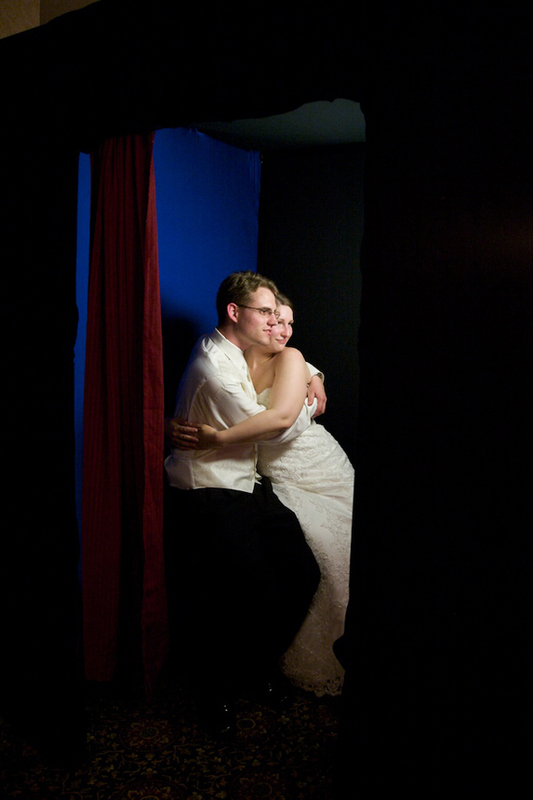 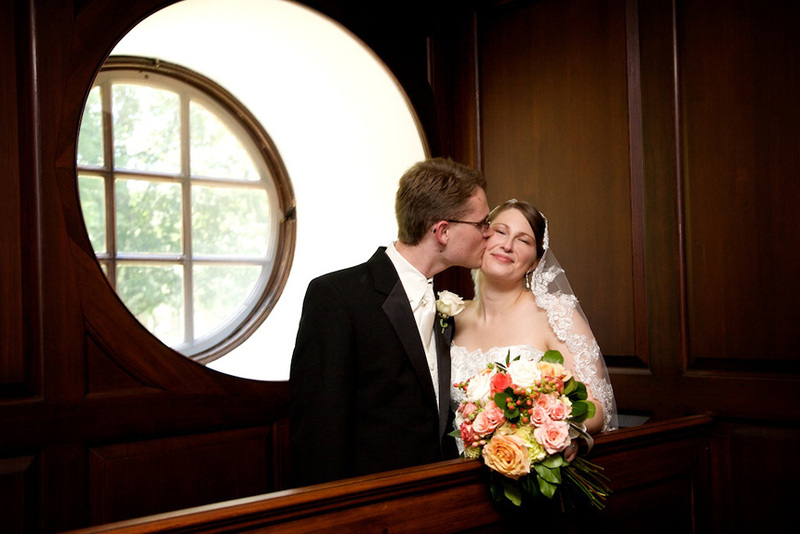 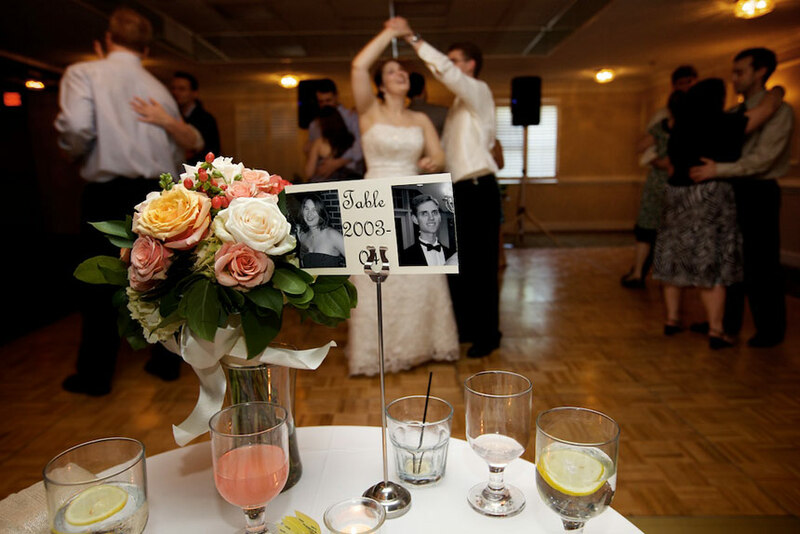 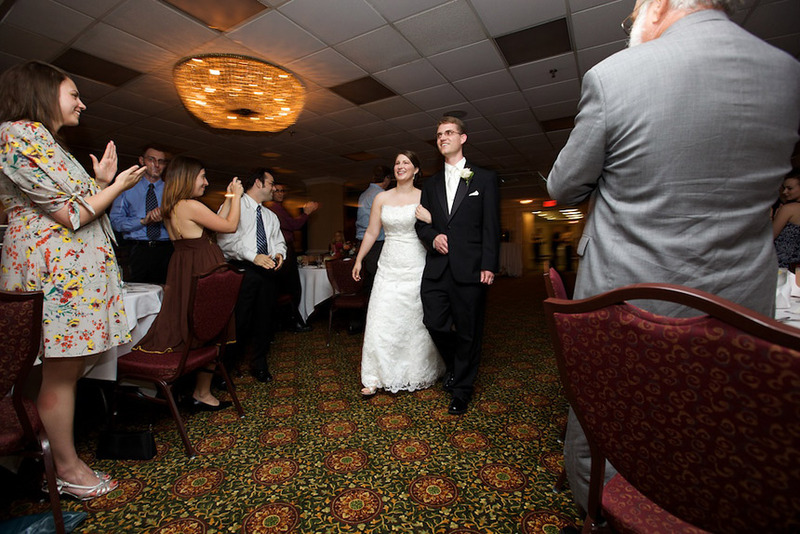 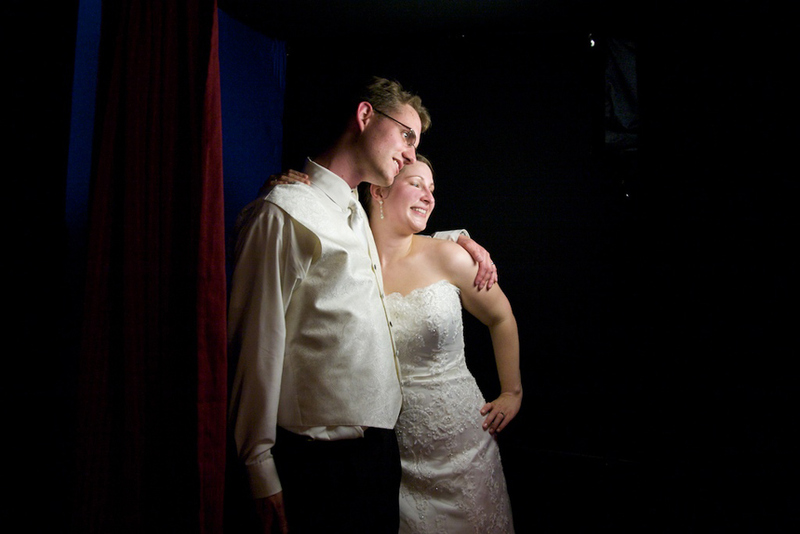 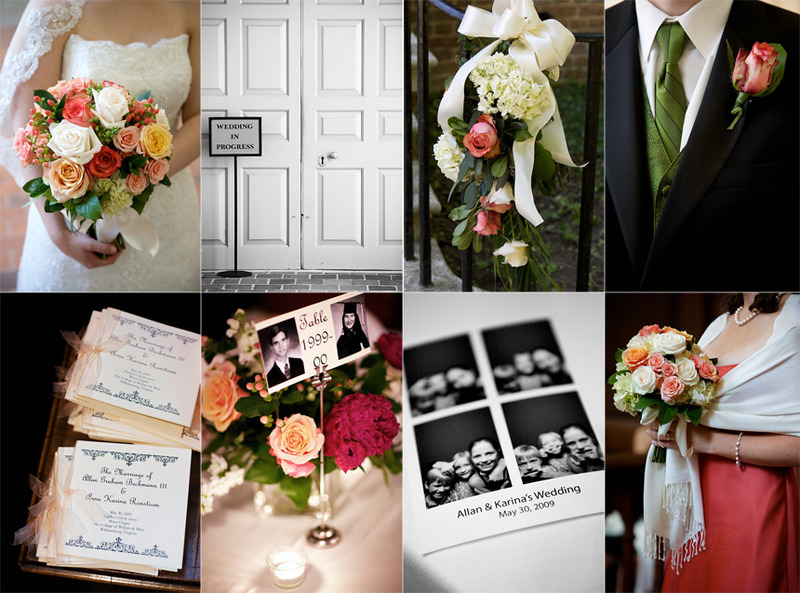 Ryan Hall with Williamsburg Weddings and Events made sure the day went off without a hitch. 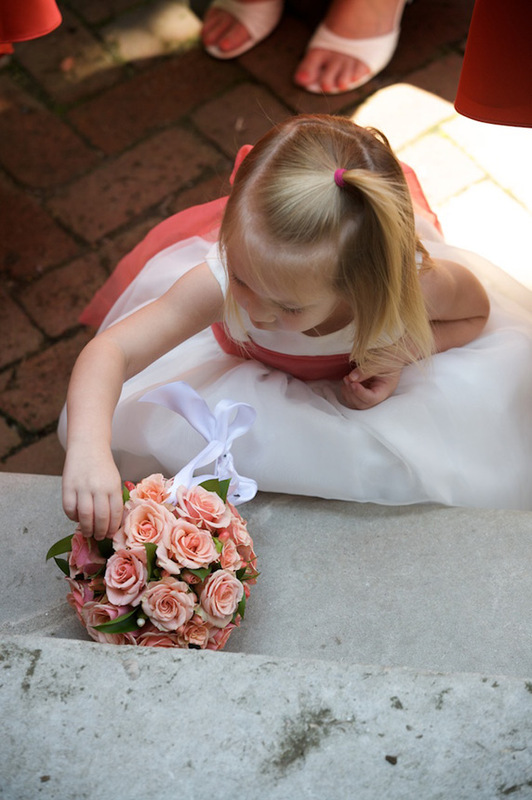 Here’s a slideshow with some of our favs from the day and if you would like to be notified by email when their online galley is available for viewing, click here. 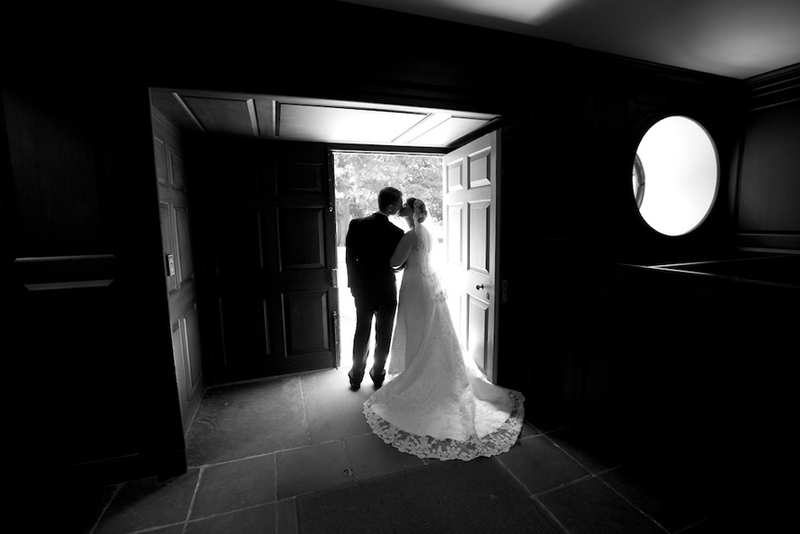 Congrats to Karina and Allan!